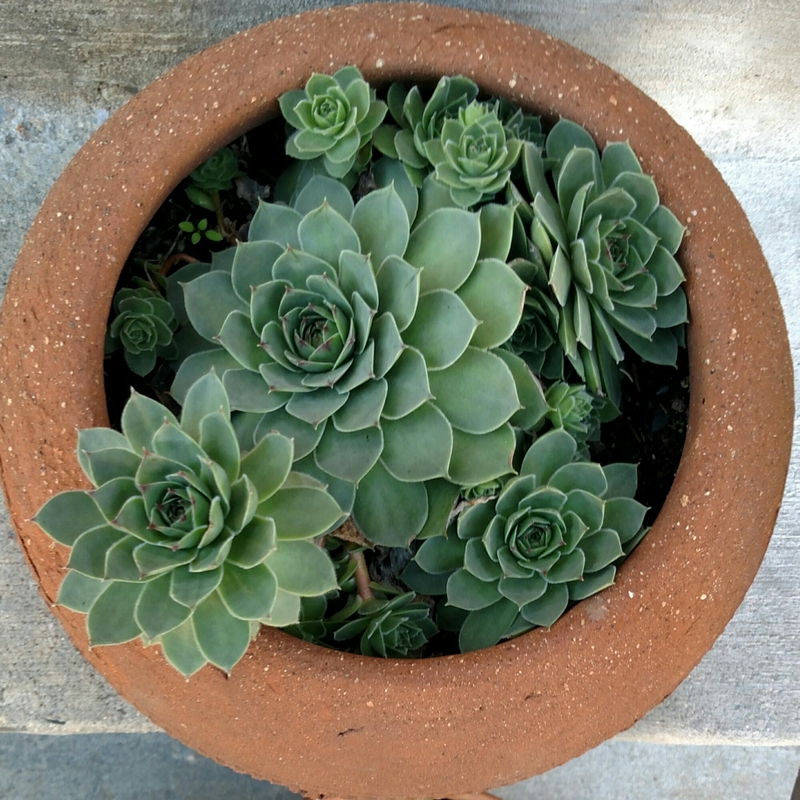 The Hens and Chicks in clay pots on our front steps are flourishing in the cool fall weather. Each day I see new tiny chicks emerging. Close and cozy, growing in a tight space. It is counter-intuitive for a gardener. I want to re-pot and give more space, but these succulents actually grow better in crowded conditions. When my townhouse seems too small, traffic congested, time limited and life crowded with responsibilities and demands, I will think of these plants. They grow under the pressure of limited space. Too often my thoughts are rooted in the “not enoughs.” I need more time. I can’t. I need to pull out. What if I snuggled into the pressure and my limitations, stayed grounded and calm? I might be surprised by unexpected space and new growth.